Sturdy construction which makes it functional well. You’ll get it at a fraction of the price. Difficult to understand how it operates initially. Looking for a versatile tool that can perform various diagnosis services on motor vehicles? You’ll like the iCarsoft i900 which is specifically designed for full systems vehicle scanning and more. This gadget provides you with a quick fix for all your car servicing needs. And the best part is you don’t have to break the bank to add it to your garage equipment. But if you’re unsure if it’s worth considering quickly have a look at our mini review that details its capabilities. 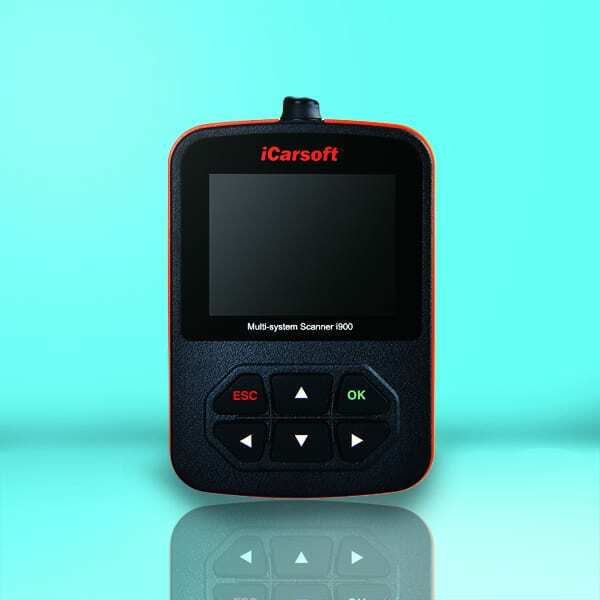 The iCarsoft i900 diagnostic tool scanner can be used on both cars and trucks. It features a colorful screen that displays all your readings with clarity. The unique diagnostic software means it can access the full electronic system on each vehicle you’re repairing or servicing. Its advanced software ensures you detect even the most complicated problems with accuracy and speed. It performs a number of functions including reading DTCs with clarity as well as live-data streams. Though it can look at the faults and live data, it can’t change the VIN on the vehicle. This product weighs only 9 oz., making it super easy to handle and manage. One of its impressive features has to be the ability to retain any vehicle information you put in. That way you can easily access past service history of the car you’re working on. The only major drawback is when it’s time to update it your efforts will be in vain; this is because the website for updates no longer exists. This is a powerful tool best suited for the DIY car owner who isn’t prepared to send their vehicle to a repair shop for an expensive diagnosis. It’s also ideal for the car repair guy who wants an efficient tool to streamline operations while cutting costs in the process. With this particular scanner you can access modules you couldn’t access with other models such as codes for the air ride. You don’t have to take the car to the dealer and pay for the code. Choosing this tool will clearly save you money. In the package you‘ll find a device with a 2.8” LCD screen that displays in full color for crystal clear readings. Let’s face it: With an impressive resolution of 240 x320, surely you can’t expect anything less. 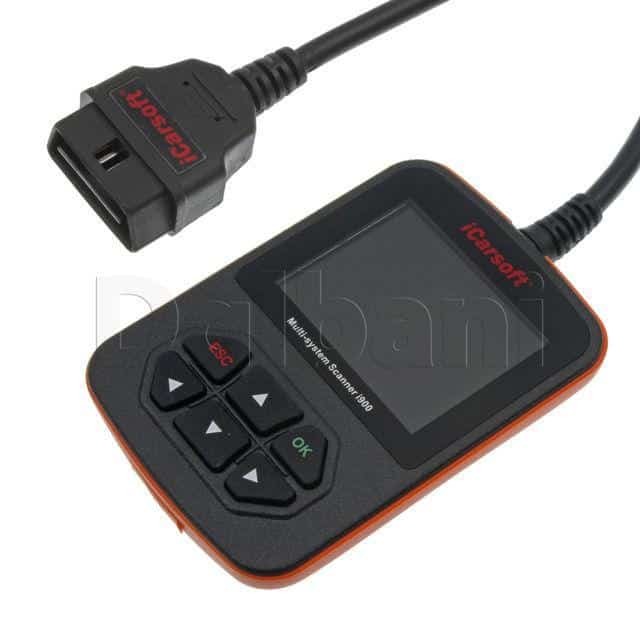 Of importance to note is this scanner isn’t externally powered; it gets its power through the OBD connector which is included in the package. You might find it difficult to operate initially but thankfully it comes with an easy to understand manual to help you figure it out. The iCarsoft i900 provides you with a number of test modes for instance ISO 9141, KWP 2000 and J1850 to mention but a few. With this scanner you can perform a host of functions including reading and diagnosing the service suspension system as well as the ABS and brake light codes. However, there are some limitations to its capabilities. Though it can read the light codes it can’t reset or reprogram them. It can however reset and clear other systems such as the airbag code. The scanner will also read the history on individual cylinder misfires but only if the history is stored in the ECU. It also allows you transfer case info to troubleshoot where necessary. After all is said and done this is a pretty useful gadget which will save you lots of money. By choosing this device you can determine the problem your vehicle has without necessarily taking it to the dealer. Sure, it’ll take you some time to fully understand how it operates, but once you master it, you’ll reap the benefits.